Carden Park Hotel, Golf Resort and Spa is set in a beautiful 1000 acre estate in Cheshire with a mile long drive leading you through the championship Nicklaus golf course to the hotel entrance. 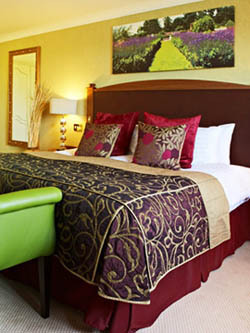 Ideal for business or pleasure Carden Park can cater for all your requirements. The hotel hosts 196 beautiful bedrooms, 6 areas for dining including the AA Rosette awarded Redmond’s Restaurant, 2 Championship golf courses, The Nicklaus and The Cheshire and extensive Spa and Leisure facilities. On the grounds are tennis courts, children’s play area and vineyard. With 18 conference and meeting facilities for 10 delegates up to 400 delegates all business and event needs can be fulfilled and the Carden Suite has the latest technology for your perfect event. Impress your guests with nine 60 inch plasma screens, 6000 optical fibre light ceiling, BOSE sound system and much more. Carden Park works in partnership with Muddy Good Fun, the onsite activities centre that can provide a full range of activities including Archery, Quad biking and the KONG aerial ropes course plus much more. Ideal for some team building or family fun! 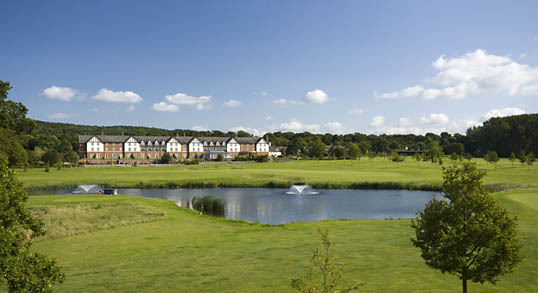 Carden Park has 700 complimentary parking spaces and is in an ideal location. 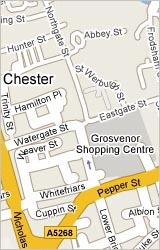 It is just 15 minutes from Chester, 50 minutes from Liverpool John Lennon Airport and 40 minutes from Manchester International Airport.